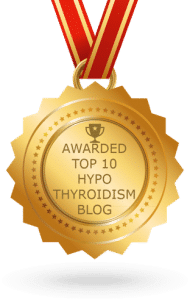 Hypothyroidism. Hashimoto’s Thyroiditis. Chronic Fatigue Syndrome. Anxiety Disorder. Adrenal Fatigue. Depression. All conditions I currently have or, in the case of depression, have had at previous times in my life (depression comes in and out of my life as it pleases). People tell me however, not to let these conditions, physical and mental, define me. But why? They do define part of who I am and what my life has become and I’m OK with that. Whilst it’s true that there is so much more to me than my health conditions, they are a huge part of my life and who I am. They’ve shaped who I am today. And in fact, they’ve made me a better person; a more well-rounded person. Someone who appreciates life and the small things more so than pre-diagnosis of any of these conditions. The truth is, if you have a long term health condition, it will most likely play a part in defining who you are. If it has such an impact on your life that it prevents you from having a ‘normal’ life, then it is part of your existence right now and often defines what you’re able to do. And that’s OK. The conditions I live with have meant I now work part-time, can’t exercise as much as I used to (I used to be incredibly active) and can’t be as sociable as I once was. I don’t want to be defined solely by my health conditions but at the same time, they are what’s made me who I am. 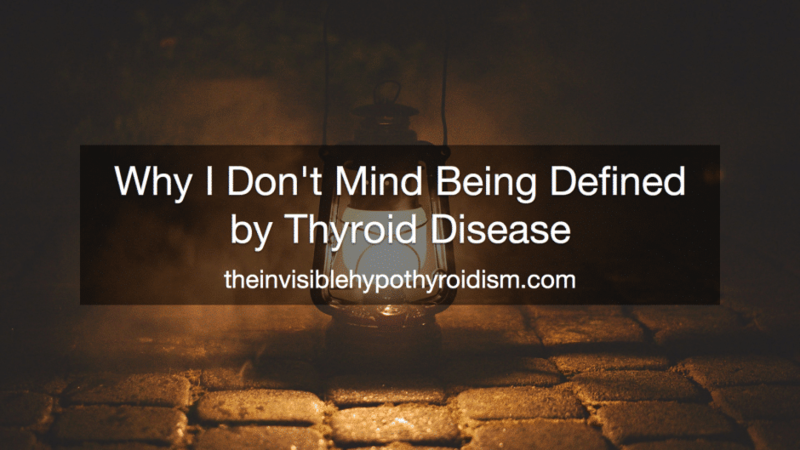 Going through the many years of not knowing what was wrong with me, in terms of physical symptoms piling up, until I was eventually diagnosed with autoimmune thyroid disease, and also the anxiety I’ve experienced my whole life, without knowing that that’s what it was. Going through the pre-diagnosis, the diagnosis and now the ‘trying-to-cope-with-it-and-manage-the-conditions’ stages, I have become an advocate for my own health; I’ve become stronger in various ways. I have learnt to stand up for myself. I am stronger in taking more control over my health and the pursuit of making peace with what life has handed me. And peace with myself. This has also made me more confident, independent and self assured. I’m very different to the person I was five years ago. The conditions I have have helped me to realise that I am not Superwoman and that I needed to scale back on my commitments and expectations. 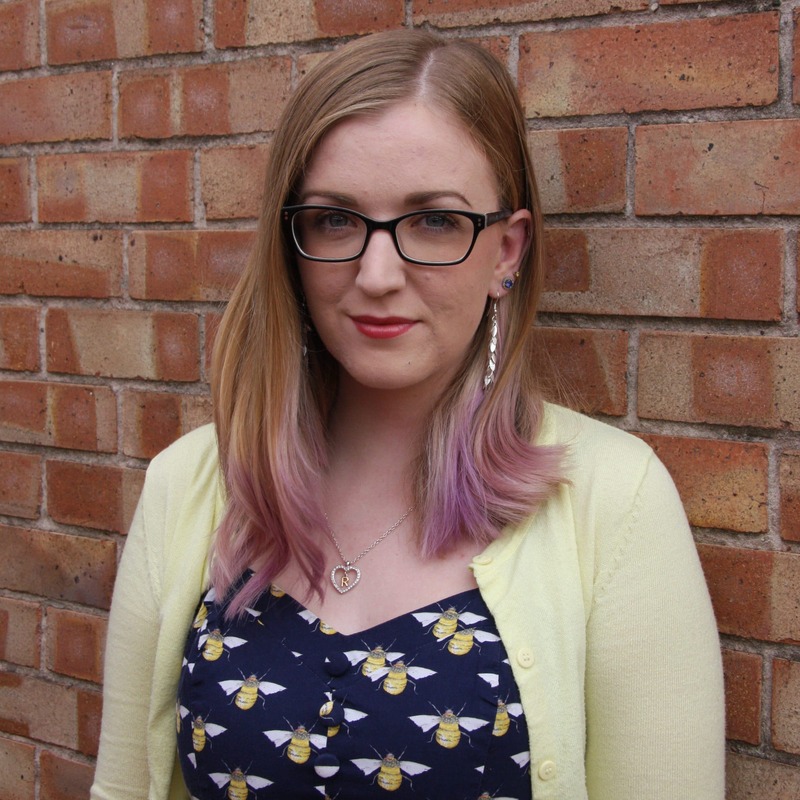 Leading up to diagnosis of my physical health conditions, I was running myself in to the ground thinking that I should be working towards being supremely fit, having the ‘dream job’, a perfect house and very busy social life. 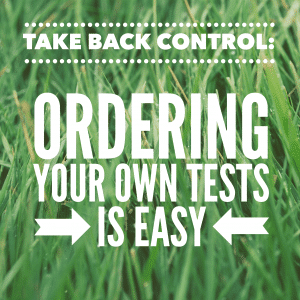 When you develop health conditions that quite physically limit how much you can do, you have to take a step back and reevaluate. Reevaluate what is important and what you can do. Compared to who I was five years ago, I am wiser, more mature, more independent, have my own voice and the strength to do more than I ever thought possible. And I don’t mean physically. I don’t mean run marathons or work a seventy-hour-a-week job. I do more for me and others in the same kind of situation; I speak up. 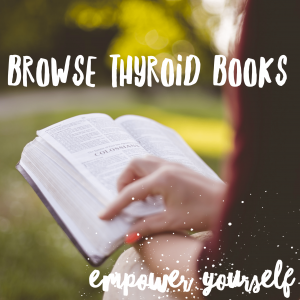 I do more of what my body and mind needs and requires from me in terms of consciously looking after myself better but I’m also a voice for other thyroid patients, through my advocacy work. My health conditions, and I call them my health conditions because they have formed such a huge part of who I am and what I get fulfilment out of doing, have led on to amazing opportunities. 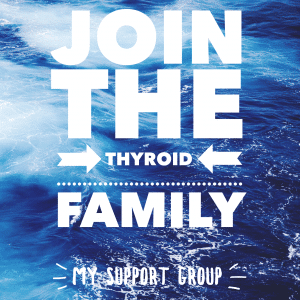 Helping others with thyroid disease, providing a voice for them and advocating for better diagnosis and treatment is a huge part of the person I am today. It’s what drives me and keeps me going on rough days. 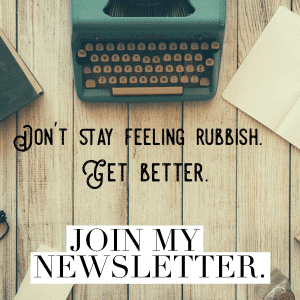 Of course, there is still so much more to me than these health conditions – I love vintage and retro fashion, I’m a total foodie, enjoy craft projects and musicals – but the truth is, my health conditions have given me more purpose. I know now that I was put on this Earth to weather the storms and come out stronger, telling others that they can do the same and that the support is out there. As it’s changed my life and who I am so much, I am defined by it. But there is this idea in society that everyone should be aiming for ‘happiness’. That ‘being happy’ is the ultimate goal in life. Yet, if I was to become ‘happy’, for example in the sense that being 100% healthy would equal being happy, I’d lose myself. I’d lose who I was. I’d lose what makes me, me. What is often missed is that it’s OK to not be happy. When we question that the end goal, the ultimate aim in life, is to be ‘happy’, we ask ‘what is happiness anyway?’ It’s not a destination, it’s an emotion. Emotions come and go all the time, in fact, throughout one day alone we go through numerous emotions. How unattainable a goal it is to reach that place that can’t be sustained forever? An emotion, a feeling, where we inevitably won’t stay? Life dishes out its trials and tribulations. It gives us challenges, difficult times and of course the best of times. And this is life. In many cultures, to be ‘happy’ means to find your soulmate, get married, have a family, buy a beautiful house, have lots of money in the bank and a dream career. But this is so unattainable, even more so for those of us with health conditions. Mental and physical health conditions. What is with this pressure to find your ‘soulmate’? ‘The One’? Why can’t you be content with whoever you enjoy spending time with? Why must people feel pressured to follow social convention at all? For many of us with mental and physical health conditions, ‘the dream career’ isn’t an option we have. Many can’t work or those who do are limited in what kind of job they can do or how many hours of work. Why must a job exist solely to get you to a ‘dream career’? Why do we need this to be ‘happy’? There is so much more to life than a job, focus on money and pleasing society. I just want to feel at peace. And in that I mean accepting that I’ll feel sad some days, angry or frustrated others and, on the rare days, just happy. Because peace is accepting all of this. Peace is accepting that life is life and there is no one emotion or ‘state of happiness’ that will suddenly all fall in to place when we tick things off a checklist set by society. Many of which don’t live with conditions that can limit or affect what they’re able to do daily. Just making peace with the fact that we’re human and we come in a whole range of emotions is absolutely fine. We’re allowed tricky days, days where we barely make it through, and we’re allowed fantastic days. Those days that are the happiest of our lives. But reaching happiness isn’t a destination or goal. You can’t keep it. It’s isn’t a possession. And being defined by my health conditions is fine by me. I own them. They don’t own me. 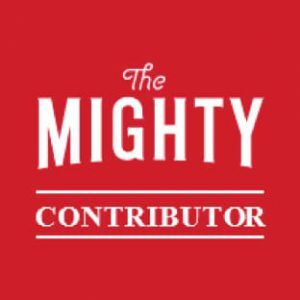 This post was originally written for The Mighty. 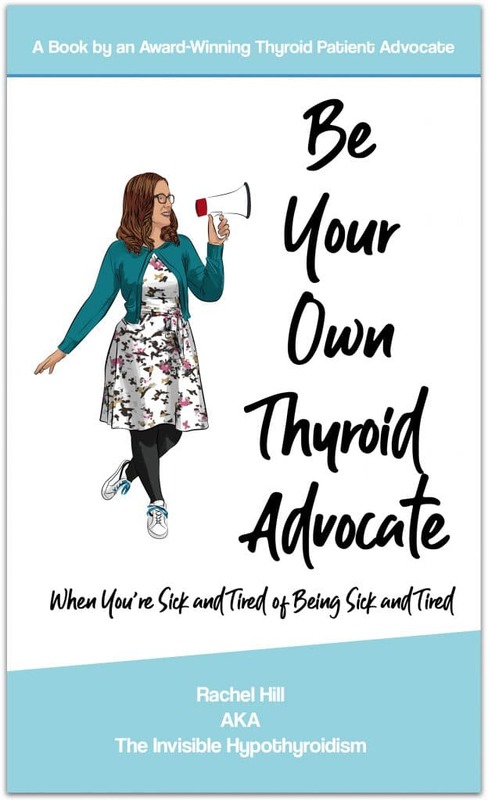 Please remember that if you’re a thyroid patient living with poor mental health or lingering physical symptoms, that you don’t have to live this way. To address why you may still be feeling unwell (often despite being on thyroid medication too), please see this article and go through each suggestion, putting your thyroid jigsaw back together. I absolutely love this! 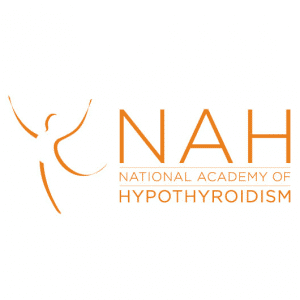 I have suffered from thyroid diseases most of my life. I’m currently 18 and have had them since I was 7. These past few years, they have affected me the most. There were so many times when I would constantly wonder “Why me?” While everyone else my age seemed to live their lives “normally”, I wasn’t able to do the same. This past year I have realized that if I never had these problems, I honestly don’t think I’d be as happy in life. Yes it’s hard but I’ve also been able to meet so many people because of it, and I have been given the opportunity to make a difference for others going through the same situations. In a way, it’s a blessing in disguise.